A survey first published in 1949 covering Jewish music from patriarch Abraham to contemporary Israeli composers. 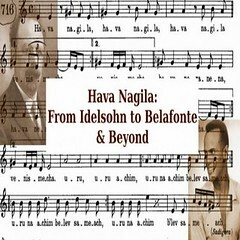 Its main aim is to reassert the Jewish presence in the narrative of Western music history. As others of its kind, this book presents a compilation of data devoid of theoretical or critical concerns. This link provides information on the cantors and rabbis of Alsace and Lorraine from the beginning of the 20th century to the present. It is part of a larger site, Judaisme d'Alsace et de Lorraine. In French. A collection of field recordings, mainly klezmer musical pieces, performed in Israel and representing the tradition developed in the Land of Israel since the 19th century. An accompanying disc to the book of the same name and author, catalogued separately (Yuval Music Series, vol. 6). Includes unpublished letters and lectures of Robert Lachmann. Accompanied by one CD with musical examples from Lachmann radio talks (1936-7).